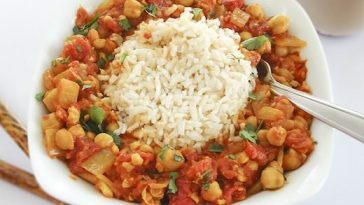 The chickpea curry I posted early last year is truly one of my all-time favorite meals. It’s the perfect balance of spicy, savory, and satisfying. This, however, takes that idea to a whole new level. 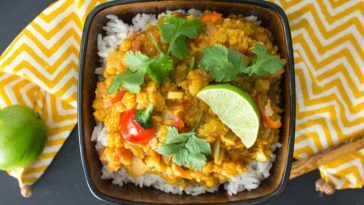 All the classic flavors from that curry show up here, but we’re adding sweet potatoes and coconut milk to bring out a sweet creaminess that is heart-warming beyond measure. This dish is like the perfect fusion of Indian and West African cuisine. So if we split that distance geographically, it would put us somewhere around the Four Seasons in the Maldives, which, coincidentally, is where the One Ingredient Chef likes to spend his summers 🙂 (Ha!) 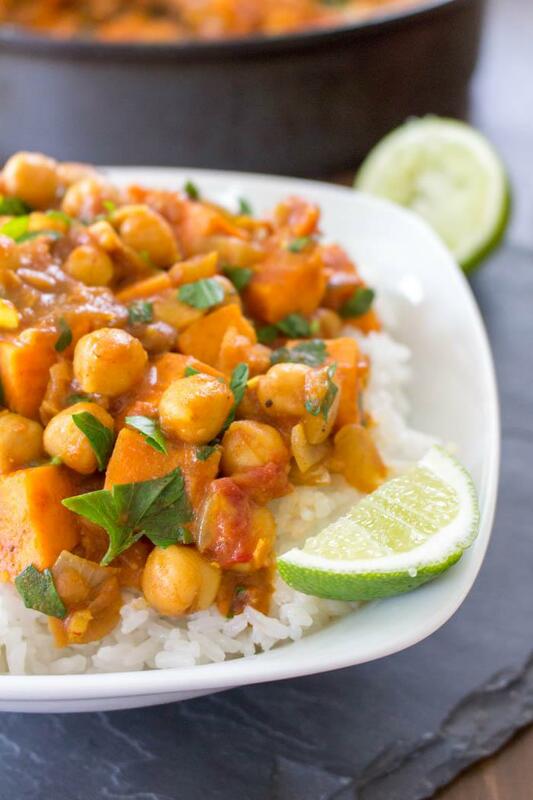 Seriously though, if you happen to be reading this from your private villa in the Maldives, I’ll happily come make you all the Coconut Curried Sweet Potato & Chickpea Stew you want. No charge. In a large, deep skillet, heat the vegetable oil and a small yellow onion (loosely diced). Allow this to soften for 3-4 minutes while mincing the garlic & chili and gathering the spices (which are essential for a good curry). Next, add the garlic, chili, and ginger to the onions with about 1/2 a teaspoon of each spice. As with all good curries, you develop so much more flavor by directly spicing the onions at the beginning as opposed to adding them to the completed dish later on. Stir and allow the spices to mingle with the onions for several minutes. Now, add almost all the other ingredients to the pan – throw in the (drained and rinsed) chickpeas, the can of tomatoes, the light coconut milk*, and about 1 large sweet potato that has been peeled and diced into ~1 inch chunks. Tip: Your grocery store is likely selling light and full-fat coconut milk at the same price, but the light coconut milk is simply full-fat diluted with water. Save some money and buy one can of full-fat, dilute it with equal parts water, and voila – you have 2 cans of light coconut milk for the price of one. Turn the heat down to a simmer, cover, and go take a break. This curry will need at least 30 minutes (50 is ideal) to fully break down and absorb all these beautiful spices. Stir occasionally and give the dish at taste after 20 minutes; I often add a lot more spices at this point; especially cinnamon, turmeric, and salt. If you want the dish extra spicy, a dash of cayenne pepper wouldn’t be a bad idea. At the last minute before serving, add a handful or two of fresh chopped parsley to complete this dish. Serve atop fluffy jasmine rice for an unforgettably creamy and comforting meal. Again, this keeps amazingly well in the refrigerator for 2-3 days. Yay for leftovers! This looks incredible!! I am so going to have to make this soon! Also, that idea about getting one full fat can of coconut milk and diluting it? Genius!! The only thing is I am intolerant to coconut milk, is there any alternative to use? I’ve used soaked and blended cashews in curry before. It works great! I’m not in the Maldives…I’m in Santa Monica…but will you still come make it for me? It looks incredible! Made this today. Excellent! Thanks for sharing, Andrew. My wife loved it too. High five! 🙂 I’m so glad you guys liked it! I made this dish tonight and it’s definitely a new favorite. I didn’t change anything — did it exactly as the recipe said. Thanks! I made this yesterday and as I live in Australia it’s heading into winter and my hubby is indian and vegetarian. This was awesome although I didn’t have Jasmine rice I did have basmati and just as nice. Thanks for a fab recipe. Fantastic! Yes, basmati and jasmine are pretty much interchangeable in my opinion. I’m glad you guys liked it, Chloe! Hoping you see this ASAP! 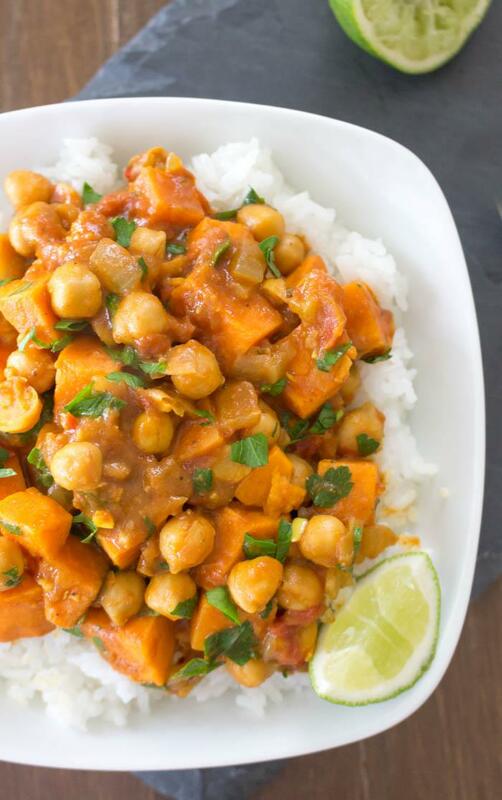 I know this is called Coconut Curried Sweet Potato & Chickpea Stew but in the picture it looks like what i think of as yams, because they look orange to me?? Or is that just the colour of the sauce? It seems that everyone calls yams and sweet potatoes differently so I want to be sure i’m making this correctly! I think of yams as the more orange vegetable and sweet potatoe as the more yellow/white. If you can let me know what you used that would be great! Thanks! Here in the UK we get white and orange fleshed sweet potatoes. They look pretty similar on the outside and are both sold as sweet potatoes. Both taste sweet.I don’t remember seeing yams anywhere for sale though. Thankyou for this recipe. We are always looking for new, healthy and tasteful recipes to cook down here in Australia. We aren’t vegetarians, but loved the flavour and texture. I did however, serve on the side, a small amount of stir fried chicken breast, broccoli and zuchhini….SUPERB. Certainly a recipe we will keep on our menu! This is the dish that introduced me to your site, and I must say that it remains my favourite. I absolutely adore sweet potato, and the taste of coconut, and chickpeas, so this really has many of my favourite things. It gets cooked whenever I have a chance. Thank you for an absolutely amazing recipe. You’re so welcome, Ivan! 🙂 This is one of my favorites too… I don’t make it nearly enough. I made this for the first time tonight and it was amazing! It, along with various other recipes of yours have been a hit with my partner, who is an incredibly picky eater. As the one who hunts down all the new recipes and cooks many of the meals, I appreciate finding so many delectable recipes in one place. Keep up the good work! This sounds fabulous! I am wondering if you have any ideas which I could substitute tomatoes for? 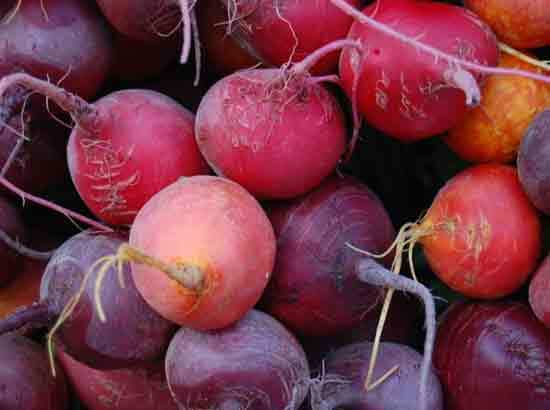 I am not supposed to have nightshade vegetables – for example: Tomato, regular potato, eggplant, bell peppers, etc. One that came to mind that might work is zucchini instead of tomato…do you have any ideas for others that may work? Hey Kristina! I couldn’t say for sure, as I’ve only made the recipe as listed. Your guess about substitutions would be as good as mine. Finely-chopped zucchini sounds good, or you may be able to get by without tomatoes altogether. Could you use curry powder in this dish? Hi Emily, you certainly could. I liked the specific blend I had listed in the ingredients, but curry powder might work too. This is delicious! I leave out the chili peppers because I’m a wimp when it comes to spicy stuff, but other than that I make it exactly as described and it’s been excellent both times so far. Am going to make this for lunch today! Sounds very interesting. But I will use fresh tomatoes, chick peas( have some left from hummus I made last evening!) And tender ccoconut cream. I chanced upon this cream as I was juice feasting and had an urge to have coconut….I took out the thick meat and ground it and it was a thick cream! Ever since I have been using fresh tender coconuts with thick meat for my ice creams and curries!so I will use that here too! Andrew I don’t live in the Maldives but Mumbai in India is a food haven. Would love to have you over !! I have a small proffesional kitchen where you can make chocolates!! I’m coming, Mayavi, I’m coming! 🙂 Seriously, I’d love to visit India at some point and I’ll definitely get in touch if I find myself in Mumbai! 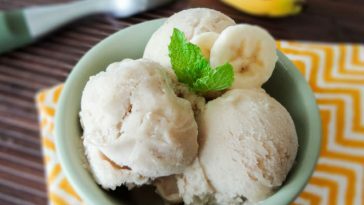 I hope you enjoy this recipe and you coconut cream idea sounds awesome (why haven’t I tried that before?). Andrew I made the sweet potato and chick pea curry and its awesome ! I am going to post some pictures on my Fb page http://www.Facebook.com/mypurepath.com….. Do check it out ! And I am looking forward to seeing you in Mumbai soon !! Sounds and looks delicious!!! How is it when it’s reheated? We’re having a birthday bash at work and I would love to make this, but I go to work early in the morning. Was wondering if I could make it the night before hand and heat it up the next morning and it still be as fabulous as it appears to be? Oh it’s amazing reheated, Cindy. I think the leftovers are actually better, as the flavors have a chance to marinate in the fridge overnight. Andrew, when you say coriander you mean dry leaves or grounded seeds? Hi Fabio, this recipe calls for the ground seeds. I know there’s confusion as it can be referred to as different things in different countries, but coriander in the US is the seeds (typically ground) while the leaves are referred to as cilantro. Thanks for replying so quickly, Andrew, I had the chance to read it at the market right before buying it! BTW, would you mind if I send you a couple recipes for you to try out? Glad to hear it! 🙂 Absolutely, feel free to send over whatever you’d like. The contact form on my About page is probably the easiest way to get in touch. Thank you SO much! Made it tonight and we all loved it, talk about yummy! made it tonight, delicious! so happy I have something healthy organised to eat this week 😀 I wonder what the addition of mango would be like? This looks amazing! Such a perfect combination of spice and coconut milk–I will be trying this soon for sure! Hi! I am cooking for just myself, and am wondering how the meal keeps in the freezer? Has anyone tried it? thanks! Hi Rachel, I have not tried freezing this myself, but I imagine it would keep very well if stored properly. Making this tonight. Are you meant to boil the sweet potato before adding it in the pan or just throw in the raw sweet potato and the 30-50 minutes is long enough to make it soft? Hi Jamie, no there is no need to boil the potatoes first. 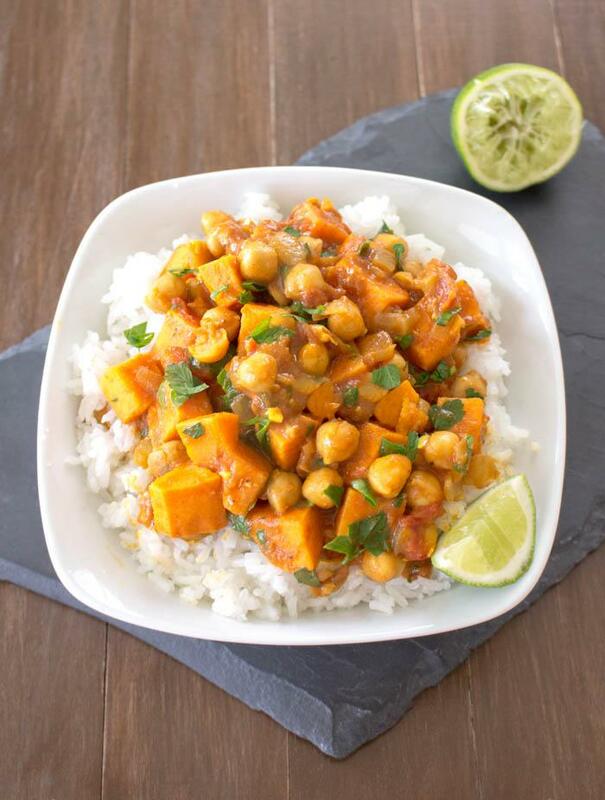 The small cubes of sweet potato will cook in under 30 minutes right in the curry itself. Awesome flavor combination! We had everything but the sweet potatoes so we substituted butternut squash and it was fantastic. Thanks for the recipe. Cool! I’m so glad you liked it, and I bet the squash substitute was great – sounds delicious! Great recipe, thanks for sharing! I saw in your photo that you accented the dish with lime juice. I added some to mine as well, it really rounded out the flavor. I was thinking about this dish and looking forward to making it all day, it was so worth the (minimal) effort. Thanks again! I actually had this for dinner tonight as well… it had been so long 🙂 I’m so glad you liked it!! Made this last night and it is delicious! The melding of the different spices and ingredients was superb. I let the curry simmer on the stove for 50 minutes and the resulting flavor was amazingly rich and creamy. This is definitely one for the recipe book. Thank you for sharing! I don’t have canned chick peas but in a bag (dry). Does that make a difference? Do I need to cook the peas before hand or soak them? Can’t wait to make this tomorrow. Would it be alright to halve the recipe if I don’t want as much left over? Will this affect the cooking time? Sure! I don’t think you’ll need to make any adjustments other than cutting each ingredient in half. Thank-you so much for your speedy reply! Really shows how passionate and dedicated you are to promoting and helping people live a more healthy life style! You’re awesome Andrew! I will be trying this recipe tonight and will defiantly be commenting with my results! This was good although I used a pepper that was a bit too hot. lol I added kale and put on top of quinoa. Thank you! I made this today. OMG! Hearty and satisfying. It was delish! I also added cubed butternut squash. I can’t wait to prepare this again! Is the recipe correct that you only use a half teaspoon total of the combined spices in the first stage of the recipe? Seems so little. Thank you so much for this recipe, it was perfect! 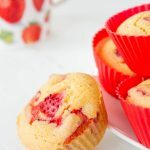 This recipe brought me to your site, and I’m so happy it did. I cant stop eating this. Thank you for the recipe. My local grocery store does not sell red chilies. Any substitute you would recommend? Spices? Hi Nic! Hmm, thats a tough one. Tomato adds a lot of flavor here. My first suggestion would be to use eggplant, but that’s a nightshade too! I think there’s a comment above about using diced zucchini? Maybe that would work. Making this right now. The kitchen smells heavenly at the moment. Mine turned out very watery. Did you thicken yours at all? Hmm, sorry to hear that Jaclyn. With just coconut milk for liquid, I couldn’t imagine how it would get too watery unless the chickpeas weren’t drained or the can of tomatoes was too watery. One trick to thicken things like this in the future is to mash some of the chickpeas as its cooking, which will release more starches that soak up some liquid. Thank you for that tip. It’s cooking, the smell is amazing! Oh My Goodness! This recipe was amazing! Thank you soooooo much… My taste buds could not figure out if we were still in the United States. Definitely making this again next week. Oh, thank you Magan! 🙂 I’m so glad to hear that you liked it!! Hey, I’m going to try making this recipe over the weekend-it looks delicious! Do you think adding lentils as well would be okay? Thanks so much for this recipe ! I absolutely loved it, so much flavour!! Do you think the leftovers would freeze okay? Hi Carly! So glad you liked it, I’m not sure how well it freezes because I haven’t tried (though I don’t imagine any problems). It also stores very well in the fridge for several days. I’ve been searching for a great chick pea recipe and this sounds amazing. Just wondering how it would fare in a slow cooker/crockpot…yay or nay? If yay- how long would you recommend? This looks wonderful..it’s cooking on the stove now..can’t wait to find out how it tastes! I made this today for the 10th time.! For my daughter’s birthday dinner! Awesome! I really appreciate you letting me know this, Sue 🙂 So glad you guys like it! I have left over already cooked sweet potatoes, could i use them in the recipe? I think so… maybe just add them into the pan a bit later so they don’t become *way* overcooked. Hi, planning to make this tomorrow. I can see limes on the photo but on the recipe, can you tell me what they are used for? And how can I make jasmine rice? Many thanks ? Hi Lucy! The lime was just a garnish, you could easily do the same but it’s not essential. Sorry for the confusion. Oh, and jasmine rice is just a variety of rice from Thailand that naturally has a vague jasmine scent. 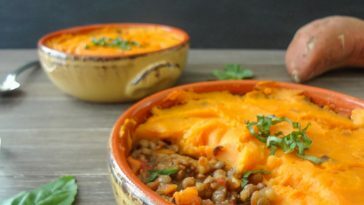 I’ve been on a mission to work more sweet potatoes into my diet and this dish has been on an almost weekly rotation in my house ever since I first made it in November. I make it just as written, with a little squeeze of lime before serving. Perfection. I’m waiting for a skillet of it to finish simmering as I type! Hi! 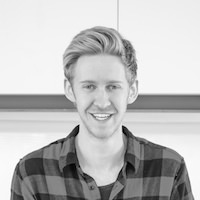 Like many others on here, I found this website based on this exact recipe… and I’ve just got back from the supermarket with all my ingredients. I’ll be making this tonight. I have to say, aside from being cute, you’re really kind to reply as promptly as you do! 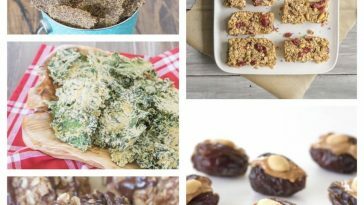 Your site is now bookmarked and I’ll be working my way through more of your recipes!! Delicious. I think next time though I’ll leave out the chilli pepper. It’s a little too spicy!! Love this though! Awesome! 🙂 I’m so glad you liked it, Chris! 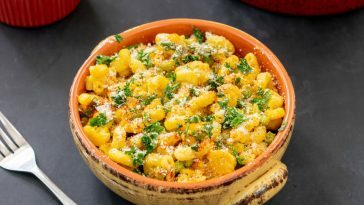 I am making this tonight for the second time, i have a feeling we will be eating this a lot! absolutely delicious! I am cooking this right now and it is smelling AMAZING! I also have the trouble with it being too watery.. the only canned tomatoes that you can get here are very watery so I didn’t think anything of throwing it all in since you did not say to drain.. It wasn’t until I read the comments that I realized that I should have drained a bit off! I’m sure it is still going to taste delicious though.. just won’t be creamy! Are you able to freeze the leftovers and serve at another time? Just wondering if it will hold up or if you don’t suggest that. Thanks. Omg! What a tasteful recipe! I followed this recipe earlier today and it was an epic success! My dish looked exactly like the picture which I was ecstatic about. The cinnamon really added flavour to the dish, which I absolutely loved. What kind of chili should I use for this? Hi! So I just made it and am literally eating while I write this, I used the normal coconut milk and I added a bit of cayanne pepper.. It was a bit acid (I used to much tomatoes) so I added about 3 table spoons of brown sugar.. Came out amazing! Thanks for the recipe! Cool! I’m so glad you liked it, Sally. 🙂 I’m not sure if this was the issue with the tomatoes, but one thing to keep in mind is that the acid in tomatoes tends to be much harsher before they fully cook. In other words, if you taste a curry just after adding tomatoes it will be super acidic, but 20 minutes later they will have mellowed out quite a bit. Hope that helps! I’ve made this recipe twice now, and WOW. Is it ever good! It was exactly what I was craving when I searched for coconut milk-sweet potato-curry. I shared it with friends and they raved over it too. Thank you for this awesome recipe! I will have to check out the rest of your site. I was wondering if I can make and than freeze this meal? If I can do I need to cook it differently? So… I just made this, subbing 2 t curry powder and 1 t garam masala for the spices and chili… ’twas SO good. The creaminess was perfect. Soooo easy, thanks!! I added a spoonful of peanut butter to make it creamier. Everyone seemed to enjoy it! I’ve just made this and put in my slow cooker… smells lovely! Hi! I am going to make this tonight (looks amazing!). Do you think I can substitute the sweet potato with butternut squash? Probably… I haven’t tried that myself, but I see no reason why it wouldn’t work. Good luck! Typically I add the juice, but that isn’t going to make much of a difference either way. There’s so many variables with the liquid content of this curry. If you find that it’s too runny, using a fork to mash some of the chickpeas will release more starches that can soak up some of the liquid. I really want to try your recipe, but I have a question about the spices – do I just create a mixture of equal amounts of each spice then use 1/2 teaspoon of that? Or do I use 1/2 teaspoon of each (that seems like a lot, but then again curries are spicy, so…). Thanks for putting this recipe up, I’ll treasure it dearly. Haha, thank you Sashimi! 😀 I’m glad you liked it!! Hi Andrew, I am really excited to try this recipe. Would it be the same if I added about 2 1/2 tsp of curry powder instead of all the spices separately? These are not in my cupboards and spices can be expensive! Hi Andrew, I couldn’t wait so I tried it anyways with the curry powder and as you suggested, I added a little more at the end with some cayenne pepper. We loved it on it’s own and kept eating it out of the pot as it was cooking. My son has requested it again and I am making a double batch tonight! Thanks for a delicious recipe! do you cook/bake the sweet potato first? No, just dice it and it will cook right in the curry itself. Quick question, I am planning on making this tonight because it looks so divine. I don’t have coconut milk but I do have almond milk would that work? I have vanilla and just regular which one should I use? Hi Katy, I would hesitate to use almond milk. What I’m talking about here is not the coconut-flavored non-dairy beverage but the real coconut milk in a can which is very different than something like almond milk, plus the coconut favor is a big component of this dish. If possible, I would try to get a can of coconut milk before trying this recipe. Good luck! Hi Andrew! I just wanted to thank you for the recipes! I am trying to eat cleaner. This curry has become a staple dinner in our house and I have probably made it 5+ times. Last night we dined on this and the Super-Fresh Sunflower Chard Wraps. Yummy! Just made this and wow! It was amazing!!!! Only one problem…I’m not sure there’ll be any left over for leftovers!! Made this and loved it! So simple yet so delicious. My hubby and daughter are very picky eaters yet they both liked it. Yay! Thank you. Perfect! I was trying to replicate a curry made in a local restaurant and added a few handfuls of peanuts and a few small carrots. About a tablespoon of lime juice makes all the difference. So, so good. I am from Sudan and I really loved this recipe , truly oved your blog , thanks for sharing this! I made this last night for my fiancé and I! It was absolutely delicious – we both loved it. I served it with brown rice. I really love your ethos about using food in it’s natural state. I aspire to cook everything from scratch and grow as much of my own food as I can! Awesome, Katie! I’m so glad you both liked it 🙂 Yes, I just started a garden this year and it’s so rewarding to grow your own food. Thanks for comments! To answer the question that keeps on popping up: YES, this freezes well! Thank you for letting us know that it freezes well!! I’d been wondering the same thing, as I’d like to make a double batch and freeze some portions for busy weeknights! Hi! This looks so delicious! Do you think it would be okay simmering 1 1/2-2 hours or would things get mushy? Hi Jen! Hmm, I think it would be fine for up to an hour… but you might want to watch it closely after that to make sure everything isn’t falling apart. I finally made this tonight — super easy and very tasty! I think next time I make it (there will be a next time!) I’ll use cilantro instead of parsley and maybe throw in a handful of raisins (!) as it finishes cooking. Serve w coucous, plain yogurt, and toasted almonds. SO TASTY. Very cool! 🙂 I’m so glad you like it. I’ve actually made this with cilantro as well and it’s just as good. Raisins sound like an awesome addition too! Do you know the calories per serving? Made this the other day. Absolutely wonderful and extremely easy!! Loved it!!! Does it work with fresh spices? I live in Thailand and we don’t really get the dried species in my town but we have plenty of each fresh. Oh definitely, here in the US it’s harder to find fresh cumin, coriander seed, etc. but fresh would be even better – you just might need to adjust the quantities as fresh spices can be more potent. Help! The diced tomatoes I bought are in tomato juice. Do I drain them first or just dump the whole can in? Hoping you see this ASAP! Thanks so much, Andrew! I made this and it was a hit.! I’m looking forward to trying more of your recipes. Mine never seems to come out as thick as yours. I don’t strain it because all the flavor is in that delicious juice. Do you drain the tomatoes before adding them? Love this recipe! I’ve made it a few times now substituting based on what I had at home at the time and every time it’s turned out great! I was looking for something different to do with sweet potatoes and came across this. Great curry….you don’t even notice there’s no meat in it. The firs time I didn’t have any chick peas or ginger, but I added mushrooms instead (as I had a bunch at the time) and I thought it was great! The next time I made it with mushrooms again and added courgettes (again, as I had some at home) …also great!! Thank you, Stephanie! I’m glad you like it, and your adaptations sound delicious. I made this last night and it was FREAKING AMAZING!! I added raw cashews but I love curry with cashews. Great recipe! Thanks a lot!! I just made this stew today and it is awesome!! I love when I find a great, easy, healthy recipe that I can add into my rotation of meals! This is a keeper and will be made many more times! Thank you so much for sharing!! I look forward to making more of your recipes! Absolutely delicious! We’ve made it twice now, and will no doubt make it again. Today we added some Swiss chard & had it with homemade flat bread instead of rice. Thanks for an inspiring recipe! Made this tonight. Used sweets out of my garden, Thai chilies from my garden, full fat coconut milk, elephant garlic cause that’s what I had, organic tomatoes again from my garden. Also had about a half cup of raisins left over from another recipe , so I tossed them in as well. This is undoubtedly one of the best recipes I’ve tried Ever! . So much flavor! I squeezed a half lime over it, no rice, heaven! Putting this in my back pocket to use again and again! Thanks Andrew. it states 1 chilli – like one dried chilli pepper? Sorry I’m confused! Yes, just one chili pepper (dried or fresh should work!). Been making this one for awhile now and it never gets old. Just love the flavours and all 3 of my kids love it too. I do omit the chilli as it would be too spicy for the family, but it’s one great recipe! It’s a keeper! I just made the stew and it is absolutely delicious! I cooked it in my new pressure cooker in under 20 minutes and the flavour is rich, spicey and comforting. I’ll serve it to my guests tomorrow and I’m sure already that they’ll love it. omgggggggg is all I can really get out at first! I’ve been vegetarian for a month and so far this is ABSOLUTELY THE BEST dish I’ve made thus far!!! My house well my small 2bedroom NYC apartment smells amazing. It’s very cold right now out and raining, this is the prefect dish for dinner tonight!! I am making this right now! I had two big sweet potatoes that needed to be used, so I kinda doubled the batch 🙂 Had to transfer all ingredients from my large skillet into my cauldron lol … I used one full can of full-fat coconut milk and diluted it with water = two cans lite coconut milk. Chick peas – didn’t have any on hand so I substituted a 16 oz. bag of frozen baby green peas and it is still delicious! Didn’t have any parsley on hand either, but I will be prepared next time. Since I made so much, I’ll be test-driving the frozen curried sweet potato & chick pea (green peas for me) stew … thanks Andrew! Haha, a cauldron of curry? That sounds amazing! 😀 Ooh, I like the idea of green peas… maybe I’ll try that next time. Was just in Bristol UK and enjoyed this dish so decided to search for the recipe on the web, but the kicker was the naan bread with mango chuttney on the side that the place I was staying at (Mercure Bristol North, The Grange Hotel) combined it with. Wow! What a great combination of flavors! Tried to make this tonight and the ground clove was so overwhelming I had to throw it out! Just wondering If it was meant to be like this and my taste buds are off or anyone had any tweets that might be useful? Hmm, that’s a bummer. I definitely didn’t find the clove overpowering. I can’t imagine how 1/2 teaspoon made the entire dish overwhelming, but spices can be tricky. Always good to use a little less build up to taste. I just made this for dinner. I had diced fire roasted tomatoes and used Basmati rice. I normally do not add cloves or I would have used Garamond Marsala. I did not add red pepper. This was the most aromatic dish I have ever eaten. Outstanding recipe, and will be a staple in my cuisine. My home smells so good. Thank you for the recipe. I am new to making curry but should their be curry powder included in the spices? No, the spices listed are basically the individual components of curry powder 😉 This way, you can adjust the amount of each spice to get it just right. 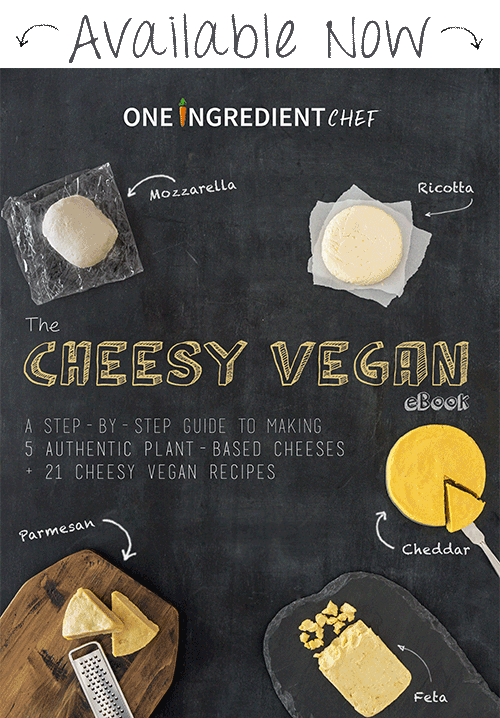 I confess I haven’t been adhering to my vegan ‘good intentions’, but I came across this recipe this morning and thought….why not? OMG it’s so delicious. Everyone loved it! It will definitely be served again in our house. Wonderful recipe with just the right balance of sweet to savory. I have sent the link to this recipe to several friends and family members. Love that I have leftovers and can enjoy it days afterwards because it just gets better with time. Thanks for a delicious recipe! This recipe was fantastic! I’ve never made a vegetarian curry before and I was a bit worried because I’m such a meat person, but I didn’t miss it at all. One of the best curries I’ve ever made! Thanks so much for sharing! i had to use a can of crushed tomatoes bc that was all I had!!! Think that will be ok??! Sure! That’s basically the same thing. This dish is just gorgeous – absolutely perfect on a cold winter night. We didn’t have a red chili on hand, but 1/4 tsp crushed red pepper flakes did the trick. Quite the tastiest curry I’ve ever eaten… and I’ve had quite a few. Loved this recipe! Thank you! Great flavor without being overpowering due to the addition of the coconut milk. Great idea! My modifications: I used 1 can of fire roasted tomatoes instead of the chili since I’m not big on spicy hot food, the used fresh cilantro instead of parsley. Amazing flavor boost! Is that one teaspoon of combined spices or one teaspoon each? Wow! This is great! 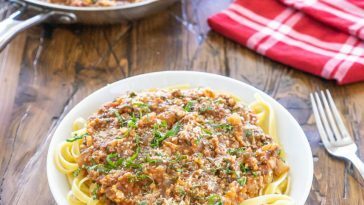 The first time I made it, I used canned diced tomatoes which seemed to give it an acidic taste. Maybe it was the brand I used. Tonight we used a big fresh tomato and it was much better, Since I only had curry powder (with turmeric and other spices), I used that instead of plain turmeric. I also go a little heavier with the other spices listed. Can’t find any chili peppers down here in sunny south Florida so I used a jalepeno the fist time and a Serrano pepper this time. Neither were spicy enough. We love love love this recipe. 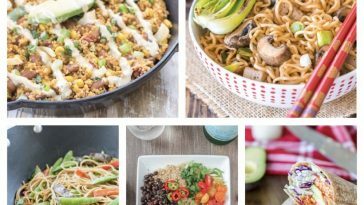 As a new vegetarian, it is so hard to find easy and tasty recipes. Thank you! I’m glad you liked, Amy! Fresh tomatoes are a great idea, but in my experience the cause of acidic tomatoes is typically related to how long they cook. Raw tomatoes (even fresh ones) are very tinny and acidic, but after cooking for 20+ minutes the flavor usually softens. This is absolutely delicious. I’m not a veggie and neither is my other half but we both thoroughly enjoyed it and didn’t miss meat at all. Teamed it with a home made flatbread (1 cup of chickpea flour, 1 cup of water and a tablespoon of olive oil mixed well cooked on a hot griddle) perfect. Thank you for this recipe. It will be a regular for us now. Andrew, this dish is just GREAT! I added a yellow bell pepper (which was starting to feel lonely in my storage as all the other veggies hopped straight into this faboulus meal ;-)) and it was exactly the thing I needed on this cold, foggy day here in Germany. The confusion between yams and sweet potatoes in the US is largely one of nomenclature, those yellow, white or purple ones you see in 99.9% of American grocery stores are ALL sweet potatoes. Actual yams are a totally different species and they’re really hard to get in the US, unless you know a friendly grocer who imports them from the Caribbean or Asia. I grew up in Asia and yams are so different that if you’ve tasted one you’d never mistake it for a sweet potato again, they taste drier, closer to parsnip or tapioca (the tuber not ground tapioca), the flavour is really different too, they don’t taste particularly sweet. On a chilly January night in Manchester, UK, this yummy recipe absolutely hit the spot! I upped the spice levels a little – proportionately, so as to stay true to your balancing – and, at the 20mins stage, added a tsp of Kashmiri red chilli powder. Really very lovely! Moreover, I very much enjoyed the narrative that got me to the final result. Thank you a lot! One word… Delicious! made this tonight, and now I’m waiting for my jasmine brown rice to finish. I can eat it without the rice. Simple to make. Off to the next recipe! Silly question: is it half a teaspoon of each spice individually or half a teaspoon combined spice? I’m keen to cook this lovely looking dish. I love Indian food and this is a great recipe! 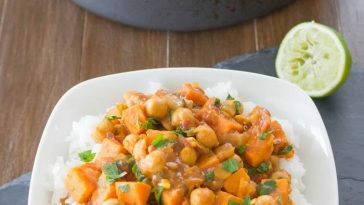 Here is a similar version I created with fresh mint: http://taste.narin.com/chickpea-sweet-potato-curry/2226. Phenomenal recipe. Made it for the family tonight, this is the best chickpea/sweet potatoes recipe I’ve come across,mane I’ve tried several. This is now the “go to” for this recipe. It isn’t a quick recipe (but it’s not a difficult one either), but the results are well worth it. Only thing I’d add is it does need a little salt, and I’d get rid of the “often” in step four–it does need more spices at that point, but you can change it to your preference. For me that was about a teaspoon of turmeric and cumerin and and half as much of the rest, including salt. And substituted a seeded/deveined fresh halepeno, minced, for the chile pepper (only because the store was out of chile peppers), and took the suggestion and added a little red cayenne. Fantastic! This recipe is amazing! You do such a fantastic job with this website. The ingredients are simple and common, I can always find a recipe to use up whatever vegetables, spices, and other ingredients I have around home. Thank you for posting such delicious and healthy meals. Thanks for this recipe, which I’ve now made three times. It always smells absolutely heavenly, looks beautiful, and then tastes … bland. I’ve increased the quantity of spices and topped it with plain Greek yogurt. Both ideas help some (the yogurt is a nice complement to the sweetness of the potatoes), but they both make the coconut flavor disappear, and I find that flavor faint to begin with. Do you have any suggestions for making the coconut flavor pop? Coconut extract, perhaps? Also: Several people have asked why the sauce comes out so watery. The steam that builds up in the closed pan helps cook the potatoes, but it adds to the water content in the pan, as well. I’ve found that removing the lid for the last few minutes of simmering cooks that liquid right out. 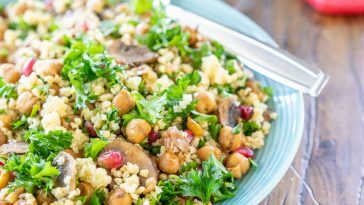 Why serve this over jasmine or basmati rice, when farro, quinoa, whole wheat couscous or brown rice can pack a more powerful nutritional punch? Again, thanks for this dish. It warms up windy nights in Chicago! Hi Naomi! Hmm, it’s hard to say why it’s coming out more bland than you would like, I’ve never had that issue. Salt can be a big part of it and tends to brighten flavors. When I’m making something like a curry I taste regularly and always adjust the spices + salt until the flavors really pop. I also find that they brighten up a bit after the 30 minute mark. Allowing it to simmer a little longer can help. If you’re referring more to the coconut flavor specifically, I wasn’t really trying to highlight that, it’s more about the creaminess and slight flavor compliment to the potatoes and spices. Yes, in terms of thickening the sauce you can leave the lid off so that some moisture can evaporate and also mash some of the chickpeas to release starches that will absorb liquid. I’m cooking this right now. Last week my daughter requested sweet potatoes and hasn’t got round to using them. I googled sweet potato and this popped up. Can’t wait to try it – Smells delicious. I made this and… Wow. I felt feelings that I didn’t even know we’re possible. My only regret is that I didn’t double the recipe. I feel that my life can’t get any better from this point forward (as I just ate the last bowl) but I think I’m ok with that. Do yourself a favor and make this stew. Just made this for my whole family (including my two year old) and we all loved it! My 2 yr old is weird with chick peas, so we just mashed them up and he ate all of it! Going in the recipe book! Thank you! Awesome! That’s so cool, I’m glad everyone (especially the two year old) enjoyed it. Thanks for reporting back and letting me know, Holly. This dish has become a firm favourite in my house. 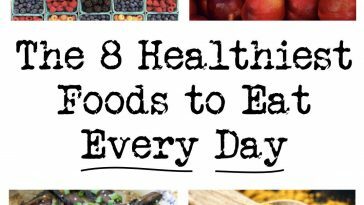 It ticks all the boxes for my 2016 healthy eating campaign. It freezes beautifully and makes for an excellent lunch at work! Did put slightly less cloves in second time I made it. Awesome, I’m glad you like it! 🙂 Yes, spices are always tricky because some are more potent than others, etc. and it’s something you have to adjust to taste. 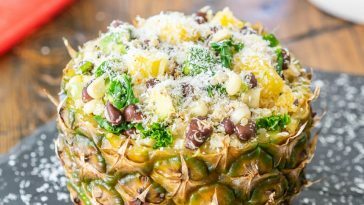 Was looking for a recipe for a vegetarian friend who just had a baby and came across this dish. I just dropped it off at her house and am really regretting not doubling the batch so I could have some for myself. The little tiny bit that I ate and the smell in my house is driving me crazy! I guess I’m heading back out to the grocery store! This is a restaurant quality recipe. Very tasty! I added chicken only because we are not vegetarian. For those who are, this is the “go to” recipe. You will not be disappointed. I did not add the lime slice, but, it would be a nice touch. Your tastebuds are tingling with delight?! That’s the kind of comment I love to hear :). Thank you, Loren! Amazing recipe. I added some chicken into mine. Made this yesterday for a family dinner & everyone loved it even the picky eaters!! I adore this recipe! It’s been my weekly go to for a year (always without chilli but that’s just me ) and I’ve been a regular in your website ever since. Thank you so much for sharing! I cannot find a print view. Am I missing it? 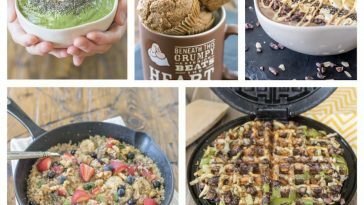 I would love to have the option to print your recipes on one-two pages without all the giant images, advertising, etc. Is that possible? Possibly the best curry I have ever made. I did a green chilli instead of red, because that’s what I had, I added a red bell pepper for color. Everything else, was exactly as your recipe. I am excited to use these great base curry flavors with other veggies. Already looking forward to dinner tomorrow with leftovers!Thanks. Hi Andrew! Quick question, is there any way I can use some preserved lemons that I have on hand if I don’t have any fresh limes? I’m not sure I have ever seen a preserved lemon before… I think you’ll be okay just skipping the lime juice. Wow, this was absolutely amazing. Hands down the best curry I’ve ever been able to make. Thank you so much for this recipe. Yummy! 5 stars dish, thanks for the details on the instructions and tips, I make the garbanzo from scratch and use fresh dice tomatoes instead of cans take more time but IT IS worth it. This was such an easy recipe to follow and it came out SO GOOD! I have wanted to make a curry dish for a long time and was afraid of messing it up, but this was seriously simple and now I will make this ALL THE TIME. Thank you for sharing this! This was my first time making curry ever… I was so surprised with how easy it was and my dish turned out delicious! I’m also just discovering your website so I’m excited to try more recipes. Totally up my alley! This sounds absolutely delicious!! Is there a slow cooker version of this I can try?! Thanks for the yummy recipe! My hubby loved it, which is saying something because our meatless adjustment is hard for him. Even my picky 3-year-old loved it! 🙂 The one thing I changed was I didn’t have parsley on hand but it needed the color so I tossed in some green peas, and they were so yummy I add them every time now. Also, sometimes I like to serve this over quinoa. Not everything handles the earthy taste and texture of quinoa, but this sweet creamy curry pairs perfectly with it! I love to use the other half of my can of coconut milk (per your shopping tip) as part of the liquid in my quinoa. It makes it more tender and less bitter. Thanks again! 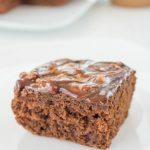 This recipe brought me to your blog, and I’m so glad it did! 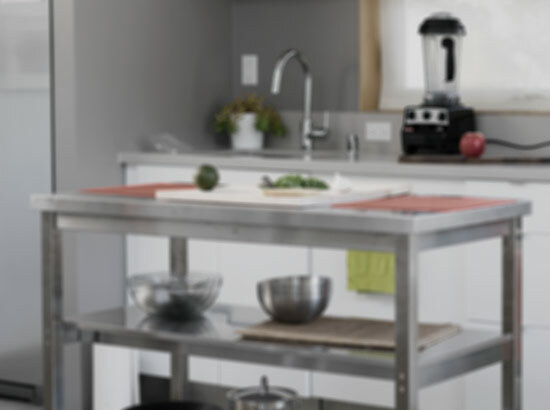 I love your recipes, your style, and your friendly and helpful responses to people’s comments! I’m definitely recommending your blog to friends & family. Hi Angela! Very cool, I’m so glad the whole family liked it 🙂 And adding peas sounds awesome… I really like the idea of having this with quinoa too. Curries and quinoa can be great together! Hi there! This looks delicious. I’m considering making it for a friend who is due with a baby. What are your tips on freezing it? Hi Mary, I’m not sure I’ve ever freezed this recipe, but I would expect it to freeze fine. Perhaps allow it to cool to room temperature, then freeze in a Tupperware container. This recipe freezes really well! After you make it just let it cool and put in a heavy duty ziplock bag. Defrost it in the fridge and then just heat in a pan and serve over fresh rice. Also, Andrew, really love this recipe and it has become my go to meal when it comes to making food for others (e.g. new moms) and everyone LOVES it. Thank you. I thought I’d be the weirdo commenting on something 3 years after the original post but I’m not surprised to see the positive ongoing feedback. That’s great to hear! I’m glad it freezes well and that you’ve been enjoying it. Just made this for my four year old and the 3 and 5 year old kids I watch ( I used a sprinkle of Red chili flakes in place of a chopped up red chili) and they love it and so do I! Such great flavor!!! I will definitely be making this again! This sounds amazing! Do the ingredients break down in the leftovers? I was thinking of making a day ahead for company and curious if i should under cook at all if doing this. Hi Andrea! Oh no, leftovers are even better. Something about letting it sit in the fridge overnight seriously improves the flavors. This looks wonderful, and I have all the ingredients on hand. (Am soaking the chickpeas right now.) I have a question- the ingredients list says “a red chile,” but the directions say nothing about whether to leave it whole or chop it up. How do you prep the chile? Thanks! Hi Millie, yes in Step One it says, “while mincing the garlic & chili” so just mince it and add it in step two. A splendidly bright colored and wholesome vegetarian dish with aromatic spices that blend so well together. The coconut milk also provides an Asian feel to the recipe and so does a serving of hot white rice. Hello from Greece!!! I keep making this recipe and it’s amazing! Thank you so much! You need to specify Italian parsley. I used the other kind and it did not go. Looks delicious! Can you make this in a crock pot? Thanks, Ashley! I haven’t tried that myself but I could imagine this would work well in a crock pot… maybe give it a shot? Great recipe Andrew, thanks. We prefer it with fresh chopped coriander. This has become one of my favourite dishes to make when friends come over. Quick and easy! Thank you very much, Andrew. 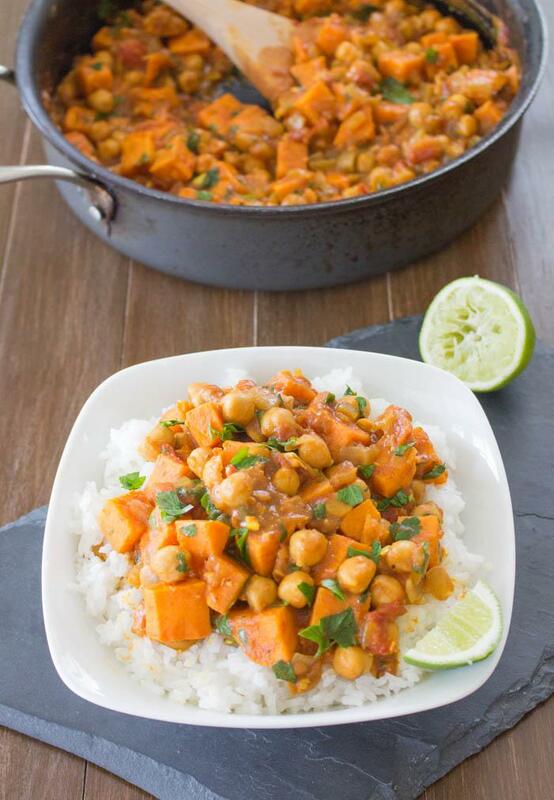 Pingback:Chickpea Curry | Pin. Eat. Enjoy.